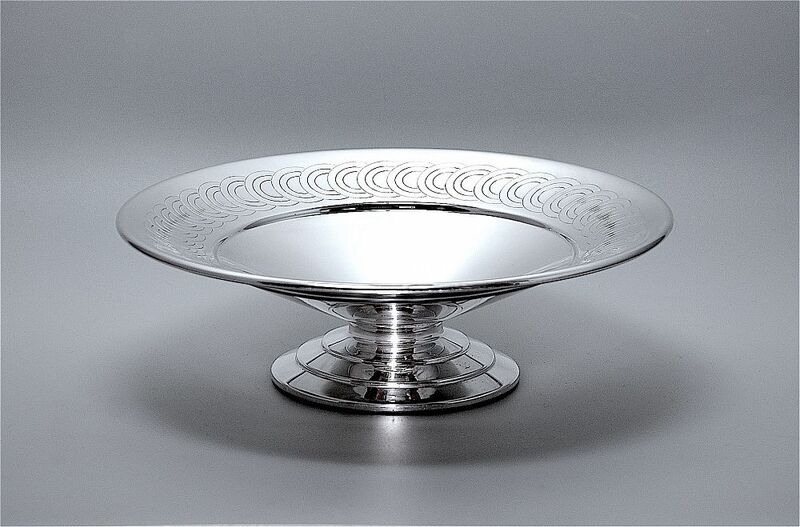 This fabulous silver plated footed tazza was designed by Keith Murray for Mappin & Webb. The round 3 tiered foot supports a concave top. The wide edge of the top is decorated with a series of overlapping incised circles. The base is signed "Mappin & Webb London & Sheffield Mappin Plate W29500" There is a "V" within a shield shaped cartouche.